Adidas Impossible Goalkeeper has won the Golden Drum Grand Prix for Design and Art Direction. 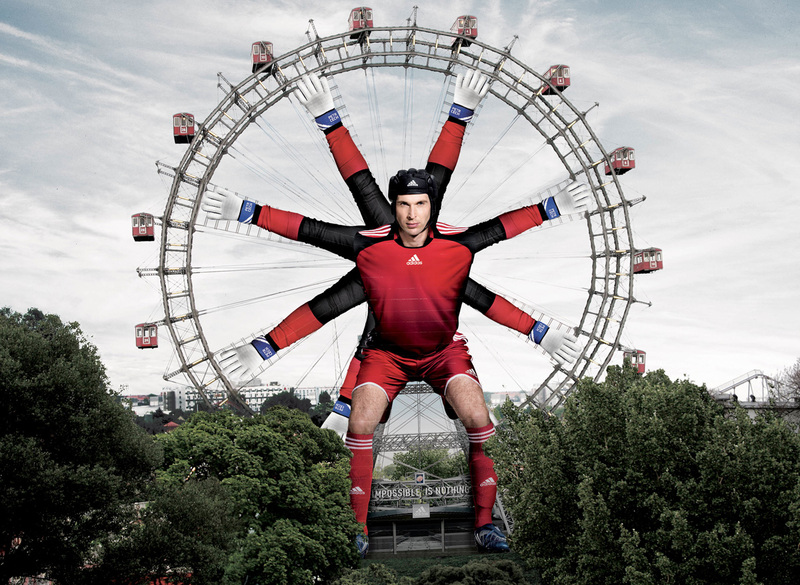 The Goalkeeper was an eight-arm 138-feet-tall version of Czech goalkeeper Petr Cech, placed on the Giant Ferris Wheel in Prater Park, Vienna to celebrate the opening of the EuroCup 2008. The Impossible Goalkeeper campaign won a Golden Drum 2008 Design & Art Direction, an Outdoor Silver and a Director Bronze at Eurobest 2008, and a Media Silver Lion at Cannes Lions 2009. The Goalkeeper was designed at TBWA\ Germany (180/TBWA), Berlin by creative directors Stefan Schmidt and Markus Ewertz, art director Marco Bezerra, copywriter Emiliano Trierveiler, photographer/illustrator Johann Sebastian Hänel, print producer Katrin Dettmann, account team Kerstin Gold, Falk Lungwitz, David Barton and Tanja Kurr.